Can I Get Rid Of Alimony Or Child Support Payments In A Bankruptcy? No, you cannot. Domestic obligations such as child support and alimony (or any arrearage thereof that you have fallen behind on) are described as non-dischargeable debts. In other words, after your bankruptcy goes through its normal course, all other debts will get discharged (such as credit cards, medical bills, payday loans, etc.). But child support and alimony payments will continue to exist. This is true whether you file a St. Louis Chapter 7 bankruptcy or a St. Louis Chapter 13 bankruptcy. However, it is possible to repay child support arrearage back through a Chapter 13 repayment plan. This spreads the payments out over a period of time (over the course of three to five years), giving you a little bit of breathing room so that you aren’t forced into a situation of having to get caught up on the arrearage over a short period of time (sometimes as short as six months). Additionally, if the state of Missouri is garnishing your wages as a result of back child support not being paid, the filing of the bankruptcy will stop the garnishment. This can provide some additional relief. But it should be noted that the state will still expect you to make arrangements to come current on the arrearage sooner rather than later. 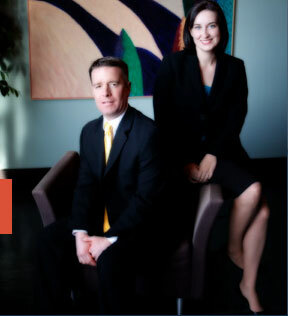 The St. Louis bankruptcy lawyers at Brinkman & Alter, LLC have been guiding people through the bankruptcy process for over ten years. Our staff is prepared to offer any help we can give, and make sure that you receive the fresh start / clean slate that you deserve. All our office consultations and phone conversations are free of charge.